The Kia Niro, when it arrived in 2016, was designed to accommodate a variety of electrified powertrains. The Niro hybrid came first, followed by a plug-in hybrid (PHEV) version in 2017 and now the fully electric model. KBB recently drove this 2019 Kia Niro EV, which goes on sale soon in 12 U.S. states and has an EPA-estimated range of 239 miles. Competitors include the Chevrolet Bolt, Nissan Leaf, Tesla Model 3 and the Hyundai Kona EV. 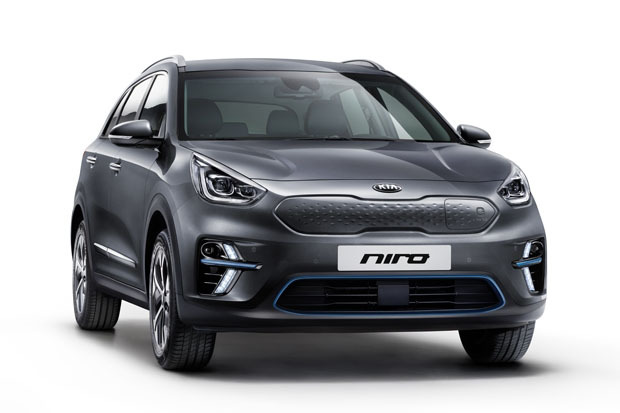 While some people may think of the new Niro EV as Kia’s version of the Hyundai Kona EV, it’s not. 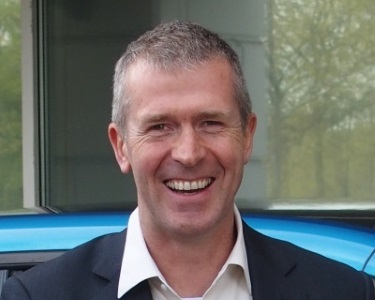 Rather, the Niro EV shares its chassis with the Hyundai Ioniq. As such, it has a much roomier back seat than the Kona EV, but as a slightly heavier vehicle it can’t quite match the impressive 258-mile range of the Hyundai, even though it does have the same 201-horsepower electric motor and 64-kWh lithium-ion polymer battery pack. That Niro EV’s liquid-cooled battery pack — mounted low and flat in the chassis, between the front and rear axles — is huge, so large that one Kia engineer likened it to a queen-size mattress. By itself, it tips the scales at 1,008 pounds, which means it represents more than 26 percent of the Niro EV’s 3,854-pound curb weight. The battery in the Niro PHEV, for the record, weighs only 85 pounds. Ponder that for a few. How does the new Kia Niro EV drive? With that big chunk of weight so low to the ground and between the axles (where chassis engineers like it), the Niro EV drives remarkably well. This new electric Kia feels substantial, not the least bit tinny, and it takes corners with minimal body roll and excellent composure thanks to its low center gravity. It’s a quiet car, and there’s plenty of space for a 6-foot-tall passenger to ride behind a driver of the same size. A rotary-dial controller on the center console is used to engage Drive, and while the front seating position is about an inch higher than that of the standard Niro hybrid, it’s because the whole vehicle is raised, not because the seat has been raised within the 5-seat cabin. The same, though, can’t be said in back, where the battery has pushed up the Niro EV’s floorboard and rear seat a small but noticeable amount. Power from the permanent-magnet electric motor is good, with enough juice on tap to screech the front tires away from a stoplight and propel the Niro EV to a top speed of 103 mph. Moreover, there are noticeable differences among the four driving modes (Eco, Normal, Sport, Eco+), which tailor the motor response, regen braking, air conditioning, heating and the other systems to satisfy driver tastes.